简介: Shakespeare in Community will introduce a broad audience of learners to Shakespeare, as we collectively read, watch, and engage four plays: Romeo and Juliet, Much Ado About Nothing, A Midsummer Night’s Dream, and The Tempest. 简介: Reading, discussing, and writing about Sir Arthur Conan Doyle’s mystery classic, A Study in Scarlet. 简介: Learn how to use English for study at university or college and develop your writing skills, vocabulary and grammar. 简介: The course surveys the entire length of human history, from the evolution of various human species in the Stone Age up to the political and technological revolutions of the twenty-first century. 简介: People have been searching for the secret to happiness for many centuries. The exciting news is that the scientific community has recently started exploring this topic, and we now have a good idea of what it takes to lead a happy and fulfilling life. Through this course, you discover what makes us happy and the common mistakes that we commit in the pursuit of happiness. 简介: The purpose of this course is to summarize some of the new directions in Chinese history and Chinese social science produced by the discovery and analysis of new historical data, in particular archival documents and datasets, and to organize this knowledge in a framework that encourages learning about China in comparative perspective. 简介: 学术英语写作专项课程系列（Academic English: Writing Specialization），这是Coursera上最受欢迎的英文写作课程系列，包含4个子课程和1个毕业项目课程，涵盖语法和标点符号用法，英语写作初步，英语写作高阶，学术研究论文写作，研究论文写作项目，感兴趣的同学可以关注： Transform Your Writing Skills-Prepare for college-level writing and research in just four courses. 简介: Designed for teachers and learners in every setting - in school and out, in formal learning environments or at home - this course is an introduction to the theory and practice of well-structured talk that builds the mind. 简介: This course examines the underlying concepts, processes, and accountability function of accounting and the scientific foundation for why accounting fulfills such an important role in both ancient and modern societies. 简介: Active learning is at the core of educational practice at MoMA. This course, intended for K-12 teachers from all disciplines, will provide a deep dive into specific multi-modal, multi-sensory, activity-based teaching methods that will inspire your students to think, create, debate, and engage with complex ideas through any object, not just works of art. 简介: This course examines the relation of advertising to society, culture, history, and the economy. Using contemporary theories about visual communications, we learn to analyze the complex levels of meaning in both print advertisements and television commercials. 简介: Discover what shapes how we talk about schools today by exploring the history of U.S. education reform. Engage with the main actors, key decisions, and major turning points in this history. See how social forces drive reform. Learn about how the critical tensions embedded in U.S. education policy and practice apply to schools nationally, globally— and where you live. 简介: This course will give you a glimpse into six different areas of American law: Tort Law, Contract Law, Property, Constitutional Law, Criminal Law, and Civil Procedure. You will gain insight into the complexities and dilemmas that arise from the application of law in different settings, and what is distinctive about American approaches. 简介: Admit it — you wanted to be an archaeologist when you grew up... This course builds on that enthusiasm, while radically expanding your notions about just what archaeology is and just what archaeologists do. 简介: Art can be a powerful catalyst for building skills and understanding across a wide range of subjects. Intended for primary and secondary teachers from all disciplines, Art & Activity builds upon the inquiry-based approaches of Art and Inquiry: Museum Teaching Strategies for Your Classroom, while delving into activity-based strategies that will make your students empowered participants in their own learning. 简介: Explore how to integrate works of art into your classroom with inquiry-based teaching methods originally developed for in-gallery museum education. 简介: Spontaneous conversations about works of art where the speakers are not afraid to disagree with each other or art history orthodoxy. Videos are made by Dr. Beth Harris and Dr. Steven Zucker along with other contributors and maintained at http://smarthistory.khanacademy.org. 简介: By the end of this course you will have developed a spoken and written profile in German that reflects your backgrounds, customs and everyday lives. Through the medium of a foreign language, we will learn about each other and exchange our reactions to contemporary German life and lifestyles. 简介: This course is a short introduction to the rich and distinctive world of Australian literature, a world of ancient and modern forms of writing about a vast and varied continent. Explore the work of writers who have responded imaginatively to the unique landscapes of Australia and to its remarkable human history. 简介: Ce cours introduit à la vie et à la pensée du réformateur Jean Calvin (1509-1564) ainsi qu’à son influence sur le monde moderne et contemporain. La démarche proposée se veut critique, il ne s’agit ni de canoniser ni de condamner Calvin ou sa pensée, mais de les comprendre avec toute la distance requise et d’en analyser les enjeux. (Course in French with English subtitles). 简介: Urbanization is reaching a new peak in the contemporary world with the rise of mega cities. Researchers try to make sense of these large urban areas using a variety of concepts. The class will review debates and present social science models of cities to analyse and compare contemporary developments. 简介: What does it mean for an immigrant to become a U.S. citizen? Through a background of historical and policy perspectives, this course will examine U.S. law governing how citizenship is acquired, the constitutional and international law foundations underlying immigration regulation, the role of the federal government in regulating immigration, and immigration law reform. 简介: An introductory yet trenchant exploration of select Chinese classic texts that cover the domains of classical literature, history, philosophy, and fine arts. 简介: Learn what motivates the restive Muslim youth from Cairo to Tehran, what political positions Islamists from Mali to Chechnya are fighting for, where the seeming obsession with Islamic law comes from, where the secularists have vanished to, and whether it makes sense to speak of an Islamic state. 简介: En este curso, con una consideración policéntrica de la lengua, se pretende activar o potenciar el interés por la corrección de los textos propios y ajenos. 简介: Learn to become an effective builder of sentences using the basic tools of grammar, punctuation, and writing. 简介: In this course students will explore the history of Jews, Christians, and Muslims in late medieval, fifteenth century Spain. Serving as citizen-scholars, students will learn about the positive and negative elements of inter-religious co-existence in Plasencia, Spain, and more importantly, contribute to an international scholarly effort by helping transcribe manuscripts. 简介: Gain an understanding of the political, social, cultural, economic, institutional and international factors that foster and obstruct the development and consolidation of democracy. It is hoped that students in developing or prospective democracies will use the theories, ideas, and lessons in the class to help build or improve democracy in their own countries. 简介: Introduire aux problématiques contemporaines du droit international et du droit comparé. An Introduction to the contemporary problematics about international law and comparative law. 简介: Ce cours propose de dresser en premier lieu un état de la planète en termes de répartition de la richesse sur terre et de problèmes environnementaux globaux. A partir de là d'envisager les scénarios possibles et d'approfondir la notion de durabilité. 简介: Through some of the most celebrated examples of the early Renaissance architecture and the most important statements of the early Renaissance theories, the course will examine problems of the architectural spaces, technology and forms looking to the antiquity in the XV century in Italy. 简介: Este curso introduce a los estudiantes de grado de habla hispana en los aspectos más relevantes de la lengua, la historia y la cultura del Egipto de los faraones. 简介: Emotions are the backbone of social activities as well as they drive the cognitive processes of several living entities. This course tries to elucidate the controversial nature of emotions and their evolutionary meaning. Several animals, including humans, have emotions but…what about machines? This is a course to feel and think about. 简介: Government works best when citizens are directly engaged in policymaking & public service delivery. What conditions are necessary for inclusive and effective citizen engagement? Can it improve people's lives positively? This course provides an overview of citizen engagement, critical analyzing of how it can be leveraged most effectively to achieve development outcomes. 简介: For students or professionals who have an interest in learning about the development and application of the law in a common law jurisdiction. 简介: You will gain a foundation for college-level writing valuable for nearly any field. Students will learn how to read carefully, write effective arguments, understand the writing process, engage with others' ideas, cite accurately, and craft powerful prose. We will create a workshop environment. 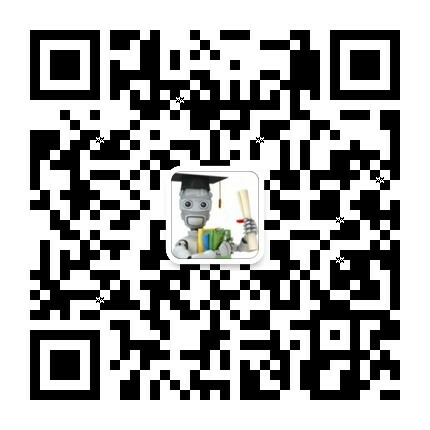 简介: 面向研究者的英语专项课程系列（English for Research Publication Purposes Specialization） ，该系列包含4门子课程和1门毕业项目课程，涵盖 学术素养，学术交流，方案设计，技术写作等，感兴趣的同学可以关注: English for Research Publication Purposes-Learn effective strategies for writing research publications in English. 简介: To explain how globalization rebuilt public policy and social behavior, we study the different political, economic, and social actors - public or private, individual or collective - and the exchanges and interactions between them that are remaking international relations. This course is inspired by a French sociological and historical approach to international relations. 简介: Explore the world of Confucianism, its foundational teachings, the ways in which it continues to shape Chinese culture and society, and how it may respond to today’s global challenges. 简介: A series of lectures on one of the greatest bodies of music ever composed, from the point of view of a performer. Each lecture will explore a different facet of the music; all will attempt to locate the source of the tremendous psychological power of Beethoven’s music. 简介: We understand the world — and our selves — through stories. Then some of those hopes and fears become the world.